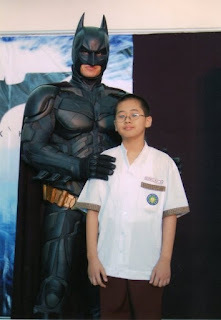 Yahmir is an avid fan of Batman since he was a year old. He's been watching Batman movies in DVDs every now and then. I remember when he was 3 years old, I heard him reciting the lines in the movie while watching it, for he already had memorized the lines and sequence of the story (lol). He had collected numerous Batman action figures and Batman car toys. JM and Yahmir are also collecting Lego and Mega Blocks. They are so focused when playing with these building blocks. It enhances their skill of creativeness, discovery and exploration. 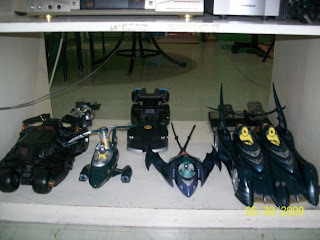 JM is a collector of Zoids toys, a collectible machine. These Zoids model kits are deemed to be amazing machines taking animal forms with amazing powers. 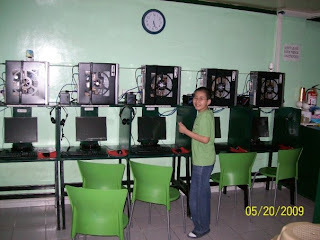 Both of them are very much interested in computers, the reason why we put up an ICafe business before, to enhance their computer related skills and JM’s hands-on for his IT (Information Technology) course. They also have different gadgets from Gameboy to Playstation, Nintendo DS,and PSP. Video games and computer games are known to improve hand-eye coordination and help players gain many skills. Games induce decision making and tech players to think on their feet. It create team players, hone social skills and teach players problem solving, motivation, and cognitive skills. Most games inspire players to strive and reach more difficult levels presenting challenges at each stage. However, another house rule is that they can only play these games after they’ve finished their school homeworks and during weekends and holidays only. 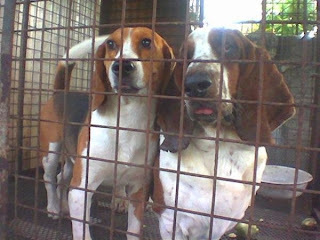 They are also animal lovers, we have these dogs that we dearly love. Pet dogs gives unconditional love. A dog will also help reduce stress in your life and they are wonderful companions. At present, they are into collecting Cloud Strife action figures of Final Fantasy and Roxas of Kingdom Hearts. Well mommy ya gotta edit the sora of kingdom hearts the name is Roxas! Dying to have at least one of those when I was a child. Visiting thru The Bloggers Exchange (Feb/March Program).I hope you could visit me back. Thanks! Children are above average, but if i don't remind, they really concentrate very less. So i am required to with them. How i can generate interest within themselves. I am feared with time, i may not be able to spare time with them. Two boys in the same class and school, primary school children. Any suggestion that can help. I am serious about this.